Sardaar Gabbar Singh launched with a great pre-release buzz which reduced to few percentile occupancy trends by the end of last week. The movie was showing a great figure in the initial phase which had led some critics to the misconception that it could cross the 100 crore mark in its first week. Till Now, the launch day was most successful for the movie. With a great buzz among the Pawan Kalyan’s fans, the movie had almost changed the screens of every theater in Hyderabad on the release day. However, after the arrival of FAN, the film seems to be getting beaten up badly at the box office. As predicted, the movie took a huge downfall on the Day 2 after facing a huge criticism. 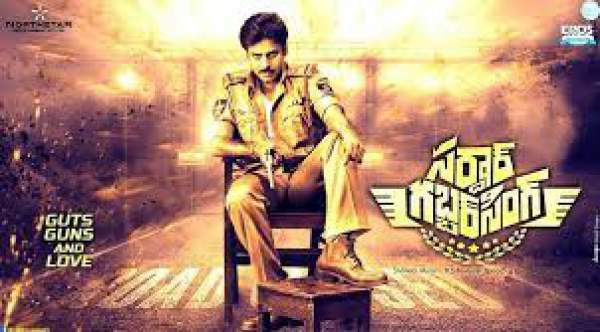 As some sources believe that the first day collections of Sardaar Gabbar Singh were more than 30 crore rupees and declined to 10 crores on the 2nd day. The fans also seem to be dissatisfied because of this change. The weekend was not very good for Sardar Gabbar Singh collections and a small improvement could be seen keeping the other things on one side. Theri release had affected the collections of SGS a lot, and it could even give it a tough competition. On Saturday, the approximate collections of the movie were around 4 crore rupees, the weekend is good for Sardaar Gabbar Singh and it could mint out the operating costs of making and production of the movie. The BO Report of Sardaar Gabbar Singh was not satisfactory after seeing the initial craze among the fans and the movie junkies.